On Fridays, your small research group will meet to collaboratively research and build an interactive Paris walking tour for international tourists and study abroad students like yourselves who are interested in exploring the cultural life of African and African Americans in Paris, France. Your tour must have a clear and specific theme with corresponding branding. Your tours should be realistic: tourists have to be able to complete each tour in a single day. While public transportation can be used, you must provide detailed directions for your tours. If you want to make a small tour series with sub-themes that could be enjoyed over the course of a weekend, that is also encouraged. Your walking tour needs to include a concise introduction (no more than 500 words) that introduces the tour’s theme and focus; who would be interested in this tour; any costs associated; and a brief overview of the original research that went into creating the tour. I encourage you to also think about any limitations tourists with reduced mobility or accessibility needs might face. 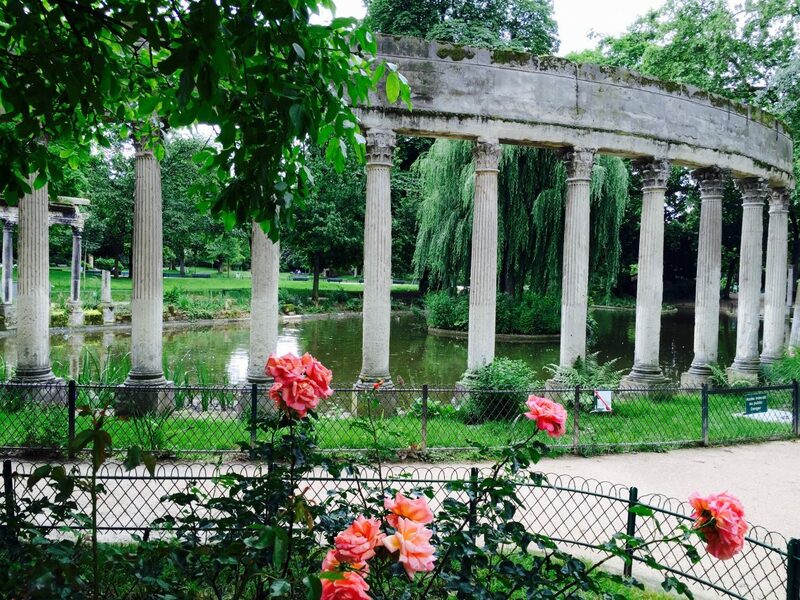 Each walking tour must include a minimum of 7 stops or points of cultural interest (the Parc Monceau, for example, would be a beautiful stop to discuss Frederick Douglass). For each stop, you must include logistical information (operating hours, prices, required clothing). You are also required to include a minimum of 300 words explaining the cultural and historical significance of the stop. Each walking tour must touch on the lives of at least 5 African Americans who spent time in Paris. Each walking tour must suggest at least one restaurant, café, pop up, or bar on the way or to relax at afterwards that includes cuisine or products featuring Africans or African Americans in Paris. Suggest specific and affordable items to try. Include personal reviews. For example, a tour might suggest a stop at the Comptoir General which is an elaborately designed French-African themed bar. Each walking tour must suggest at least one cultural experience or entertainment venue to enjoy afterwards like a Ghanaian art gallery or concert. Your walking tour article must include a minimum of five primary source documents. Primary sources constitute all evidence created during the period being researched and/or by the people being researched—in other words, an eyewitness account from an African American soldier during World War I, a jazz recording he made, or a letter home is a primary source. Keep in mind that primary sources can come in many forms. They can be photographs, maps, diaries, letters, buildings, cars, clothing, neon signs, memoirs, newspaper articles, government documents, posters, pamphlets, advertisements, paintings, films, novels, songs—just to name a few. Each primary source must be cited correctly in your tour write-up. To help with this, see the Library of Congress guide to citing primary sources. Secondary sources, on the other hand, are after-the-fact scholarly analyses of a subject. What you or I write about that soldier as scholars are secondary sources. Your goal is to analyze your primary sources as deeply and as thoroughly as possible as they relate to, or contribute to, your walking tour theme. Do not simply provide a general description, summary, or overview of your sources. You will need to employ supporting information, either primary or secondary, to substantiate your claims about the context or the production, circulation, and reception of the source itself as it relates to the argument and narrative your tour is making. The primary sources you use should be visible on the tour article page. This could take the form of a photo gallery of historical images, including a playlist from Spotify of music you mention, Youtube footage of interviews with authors or Civil Rights leaders, poetry, etc, and should also be listed in a primary source bibliography at the end of the tour document. Maps: Your article should have a map that plots the locations and directions to and between each place. The easiest way of doing this is embedding a My Maps in Google into your article, though skilled cartographers and illustrators are welcome to engage in more creative and aesthetic means! Timeline: Your article should include one embedded timeline using TimelineJS (this is another way you can organize some of your required primary sources). Contemporary Images: You need to include images or short films of the sites as they look today so tourists will know they have successfully found the correct location. You are required to take and make these so that we have distribution rights. Each photograph or short film you make must be attributed to the creator (i.e. make sure to take credit for your work)! Talking points: you need to include some guided questions, talking points, or fun facts. This could be in the form of a mini Youtube video or podcast showing the tourists something specific or exciting about your site, this could be a list of questions they should think about while viewing the site, a guided meditation to do in a culturally significant park, it’s up to you! You should assume that your readership is an educated tourist, but you should explain in full detail who people are, when they lived, and other basic information. You will be required to present your final work to the class so that we can try out your walking tours! Please note, your project was a group effort, so all team members must help present. You will evaluate your small group peers using the rubric e-mailed to you in March. Below is a list of African Americans who visited or lived and worked in Paris to help diversify your walking tours and jump start your research ideas. How might the factors listed in the question above shape the creator/author’s perspective in this source? Why do you think the creator/author undertook the creation of this source? Does the creater/author have an argument or explicit intention? If so, what is it? How might the intended audience shape the perspective of this source? Are there perhaps unintended repercussions or audiences, etc., that might further complicate or enrich our understanding of this source? Under what specific historical circumstances was this source created? What larger historical events, processes, or structures might have influenced this text or material object? Is this source consistent with what you know about the historical record from that time? How does it compare with course content, such as any relevant lectures and assigned readings? What historical facts do you learn from this source? What biases or other cultural factors might have shaped the message of this source? How do the ideas and values in the source differ from the ideas and values of our time? What historical perspectives are left out of this source? Which questions does this source prompt, and which ones might it leave unanswered? What does this source tell you about black cultural life in Paris? How might this source confirm or contradict issues raised in other primary sources? How might this source confirm or contradict issues raised in secondary sources? Does this source represent any patterns with other primary sources? What additional evidence might help validate or refute the message or argument that this source conveys? You should try, however, to avoid obviously unrealistic suggestions such as suggesting “Somebody should check all the surviving diaries of young women” for a time and place in which you already know that almost no women were literate.